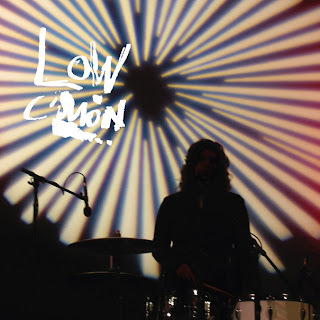 Low's new LP C'Mon has been anticipated for quite a while - whilst Drums & Guns may not have garnered the acclaim many thought it would ( I personally think its a great album), their recent live endeavours, which included a playing seminal album The Great Destroyer in its entirety and a Scandinavian tour EP that was majestic, suggest that Low are back in their predictably seductive stride once more. With C'Mon, the inimitable trio from Duluth, Minnesota - Alan Sparhawk, Mimi Parker and Steve Garrington - have gone back to their altruistic ruminations and recorded in the same church where they made Trust, arguably their best Low album. And whilst there is no doubt that this is just as accessible, if not moreso, than The Great Destroyer, there arent as many memorable moments here. There is some grungy angst in 'Witches'; the amiable chamber pop of 'Especially Me'; the choral Young-esque haunting of '$20'; the church-pew dirge of 'Majesty/Magic'; even the obligatory revelatory sprawling track is here ('Nothing But Heart'). But none of these tracks latch their talons into your brain as effectively as the rest of the band's beatific oeuvre. This could have a lot to do with their new producer Matt Beckley, who might be accomplished at shining pop "songs" from the likes of Kate Perry and Avril Lavigne, but is a little out of his element trying to sculpt these esoteric slowburners. But dont think this is a bad album, because it is actually quite good. It just isnt the majestic revelation that I always expect a Low album to be. Seeing Low live is a religious experience, particularly when they are on song - when they played at Brisbane's The Troubadour in 2007 with the Dirty Three's Mick Turner on rhythm guitar, epiphanies were thick and fast - and their albums tend to take on multiple meanings and readings. Sparhawk and Parker have amazing voices and their harmonies are still spine-tingling, the instrumentation is sublime, the lyrics succinct yet verbose. These songs will mingle effortlessly with their older brethren in a live atmosphere, but on their own they may struggle to stand the test of time. C'Mon is available April 12 on Sub Pop.